Thomas Bagwell was born in Gloucester in 1859, the son of a riveter/nailer who originally hailed from Guernsey. Young Tommy grew up at 55, Mitre Street. By the age of 12, he was already working as a basket maker, but he and his bosom chum, George Coates, later became labourers at the Wagon Works, and started to play rugby for their local side, St Luke’s Red Cross. Given this platform on which to perform, the two friends came to the attention of the Gloucester Club, but initially their social class counted against them. Although Gloucester came to be revered as a club of the people, drawing both players and supporters from all levels of society, it started as a much more exclusive outfit. The founding members included 3 solicitors, 2 corn merchants, a magistrates’ clerk, a banker’s clerk and the first clerk of the Gloucestershire County Council. These relatively high status individuals were socially exclusive, and had strong associations with Gloucester Cricket Club and various churches, particularly the Crypt. This social exclusivity was reinforced in a number of ways – by the initial cost of membership being set at 10/- (a huge sum for a manual worker); by initially holding practices and matches on Fridays; and by 2 black balls being sufficient to block a membership application. Existing members of the Gloucester club were concerned that the presence of the likes of George and Tommy would erode club values. However, the Chairman of the Club, A W Vears, was determined to improve the playing strength of the Club, and to make rugby all-inclusive, and his opinion swayed the committee towards instituting change. In time, Tommy in particular, was to demonstrate the value of this change, coming to be valued as much for his conduct and attitude as for his formidable playing skills. Tommy was invited to play for the Colts team, and indeed scored a try for the Colts XXII against the Gloucester 1st XV on 1st October 1881. But it was George, slightly older, who was the first to break into the Gloucester first team in the 1882-83 season. Tommy did not break into senior rugby until he was selected to play for the Gloucester A team against the Atlas Works on 17th November 1883. Gloucester won by 6 tries to nil, 5 of them scored by Tommy. As a result, this was his only appearance for the A team – a week later, on 24th November 1883, he made his debut for the Gloucester Firsts against Cardiff at Kingsholm, a game which Gloucester won by a goal and a try to nil. Another week passed, and Tommy scored his first try away at Swindon Rangers on 1st December – his buddy, George Coates, also scored in the win by 3 goals and 6 tries to nil. Tommy went on to play in 9 matches in that first season in the first team. Perhaps the biggest game of the season was on Boxing Day, when a London XV, including the legendary A E Stoddart (England international lat both rugby and cricket) , travelled down to play Gloucester, who won by 2 tries to nil, both tries scored by Tommy, the best of which was “a marvellous individual effort, in which he zig-zagged practically through the whole opposition”. Three days later, he scored again against Redland Park (Bristol). He had quickly made an impression – on team-mates, opponents and the media. Reports of his early matches speak of his “collaring and dodging powers”, his explosive hand-off, and that “he knows how to get tries”. He first played for the Club as a centre three-quarter, but soon took up the outside-half position, “where he performed brilliantly” and was “a positive delight”. With Tommy and George in their ranks, and under the captaincy of Jimmy Boughton, the team had enjoyed a very successful season – played 19, won 15, lost 2 drawn 2. In 1884-85, Tommy made 10 appearances out of the 20 matches played, which got his name onto the Club honours board for the first time. He scored against Bath both home and away, and against Redland Park. In 1885-86, he was an ever-present, playing in all 17 matches under the new captain, T G Smith, who led them to a successful season with only 3 defeats. Tommy kicked off his season with a hat trick of tries against Kidderminster, as Gloucester ran in 3 goals and 5 tries to nil. Later in the season, he added a try against Birmingham Old Edwardians, and two against Swindon Rangers. Perhaps, the highlights of the season were against Bath, who were enjoying a very successful season, in which they lost only once and drew twice, but the loss was at Gloucester, and the return match in Bath was drawn. 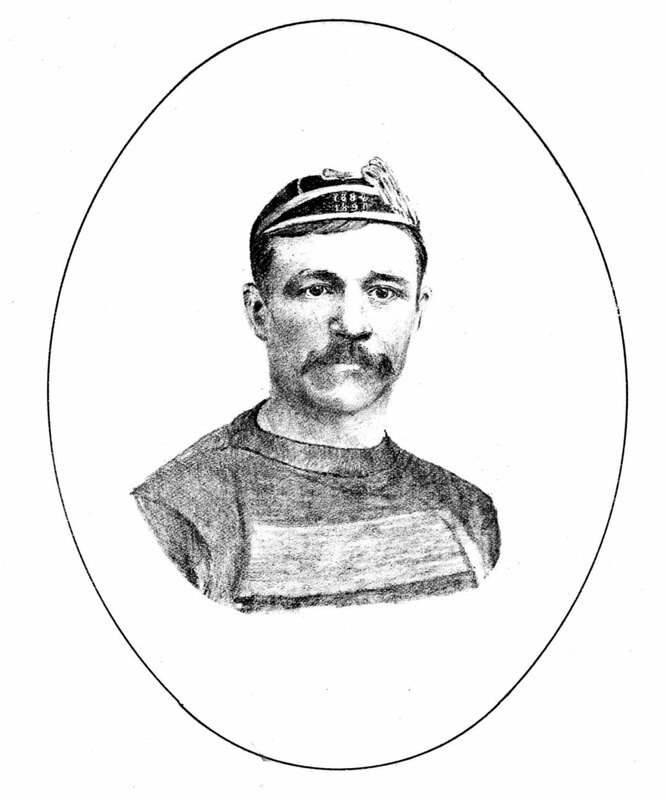 Tommy played in 18 of the 19 fixtures in 1886-87. On 5th February 1887, he scored a hat trick of tries and kicked his first conversion for the Club against Clifton, in a match which Gloucester won by 2 goals and 5 tries to nil. He scored another try and a conversion the following week against Willesden (London). In 1887-88, Tommy played in 16 of the 19 fixtures, but for the only time in his career went through a season without scoring any points himself. Tommy enjoyed his best season in 1888-89 so far as regards try scoring with 10, which made him the leading try scorer. This contributed to the team losing only 3 of 23 fixtures, with Tommy playing in 19 of them. Gloucester took on the Rest of the County at Kingsholm, and Tommy led the way with 2 tries in a resounding win by 1 goal and 9 tries to 1 try. He also scored a brace of tries in the win over Swindon Rangers. It was back to being ever-present in 1889-90 with appearances in all 25 fixtures. Not only was it a very successful season for the Club with only 3 defeats; in the middle of the season they had a run of 9 games in which their opponents failed to score. It was also Tommy’s best yet as regards tries scored, and he was again the leading try scorer for the Club with 11. He scored twice in games against Clifton, Bath and the Royal Agricultural College. Tommy was elected captain for the 1890-91 season, the first working class man to be accorded this honour – it was a mark of the esteem in which Tommy was held in the Club, and the determination of the Chairman, A W Vears to pick the best man for the job. Tommy appeared in every one of the 26 fixtures during the season, scoring 9 tries, and he led the side to a fine record of won 21, lost 2, drawn 3. Perhaps the finest win of the season was 4-0 against Cardiff, which took away Cardiff’s unbeaten record; Gloucester scored two tries, one by Tommy, and one conversion (at the time a try scored one point, and a conversion two). Gloucester also won the return match in Cardiff, by 4-1, and 1,600 travelled from Gloucester to see it. By this time the matches against the Welsh clubs were regarded as the most prestigious of the season. Tommy was always keen to put right a loss, and after defeat in Cardiff in 1891, he was quoted as saying “wait till we get ‘em on Kingsholm, we’ll give ‘em Taffy-whack”. At the end of season dinner in 1891, and despite the fact that he had not missed a game for more than two seasons, Tommy announced that he was ending his playing career with Gloucester. He gave as his reasons, that he had been playing for 12 seasons, that his home ties were growing, his advancing years, and his desire to make way for younger players. “Younger but not better, Tommy” was the response shouted from the floor. And indeed during the close season he was prevailed upon to play on, and to remain as captain. And as captain in1891-92, he again enjoyed a good measure of success, the record being – played 34, won 24, lost 6, drawn 4, points for 306, against 96. Tommy played in all but 2 of the games (nobody played more), scored 9 tries, which left him second as a try scorer behind Walter Jackson, and the Citizen commented that “Captain Bagwell still knows how to get tries and the way in which to receive and take passes”. He had the honour of leading the side to victory over Burton in the first match played on the new Kingsholm ground on 10th October 1891. 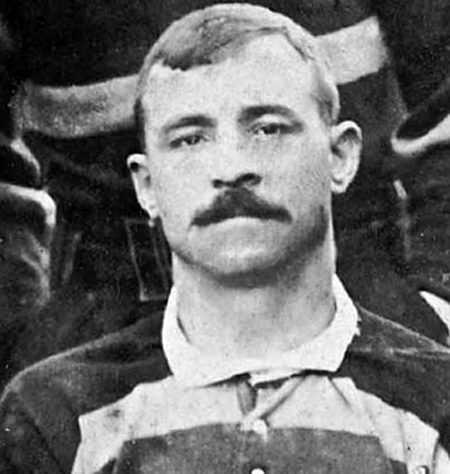 Playing at centre (to accommodate Walter George at outside-half) Tommy himself scored one try – described in the Citizen as “Powell secured possession, but being surrounded passed to Bagwell, who scored in the corner” – in the 2 goals and 4 tries to nil win. A dinner was held that evening at the Spread Eagle Hotel, at which “Captain Bagwell proposed the toast of the visiting team. He said that they had had a very pleasant match, which he attributed to the presence of a good referee, which the club did not often get, especially in Wales.” This was a good piece of diplomacy, since the referee was Rowland Hill, Secretary of the RFU. Tommy scored a further two tries in the return game at Burton, when Gloucester won by 2 goals and 1 try to 1 try, but he probably enjoyed even more the victories later in the season over Swansea and Cardiff. Tommy again played in the centre when he captained Gloucester against the Barbarians on their first visit to Kingsholm on 28th March 1892. He led by example in attack and defence, and the game was won 10-9, by 2 goals to a goal and 2 tries (a try being worth 2 points and a conversion 3). In April, Gloucester again took on the Rest of the County, and won a goal and 7 tries to 3 tries, one of the tries scored by Tommy. He revealed his sense of humour at the AGM at the end of the season. The Club had of course moved to Kingsholm as a result of a liberal application of salt to their previous pitch at the Spa in order to thaw it – this led to the Club being asked to leave. Now in their new home at Kingsholm, Tommy used the AGM to request that Sydney Starr, the Club Secretary, be required to ask permission of the committee before he applied salt to the Kingsholm pitch – this was met with a roar of laughter. However, now aged 32, he did insist on giving up the captaincy, and so for the 1892-93 season, he handed over the reins to Walter George. His availability reduced a little with 22 appearances in the 31 fixtures, and fewer tries scored with 3. In 1893-94, when the captaincy had passed to John Hanman, it was similar story with 21 appearances out of 29 fixtures, and 2 tries. 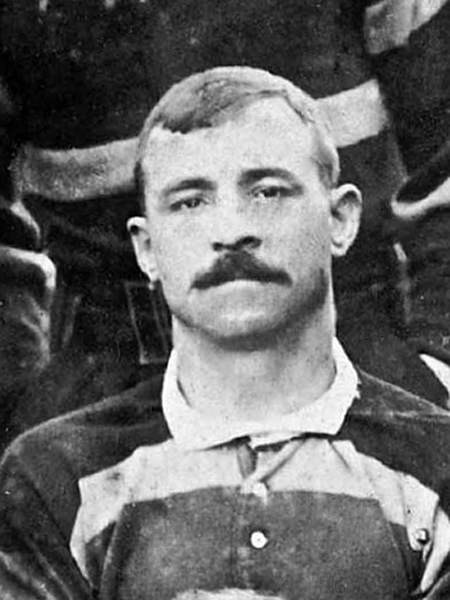 Likewise in 1894-95, he made 21 appearances in 28 matches, and scored a solitary try (against Kent Wanderers), before finally calling it a day. The Gloucester Amateur Dramatic Club held a series of well-attended benefit performances for him, which raised over £11. During his last season, the Club attempted to organise a financial testimonial for him, but was advised by the RFU that this would professionalise him. The Club was not well placed to challenge this ruling, since it was under investigation by the RFU at the time over playing an illegal player (Walter Shewell of Stroud), which resulted in the suspension of the club for a fortnight, and of their captain for the rest of the season, much to the mortification of the Club Committee, who then felt obliged to be seen to be squeaky clean as far as the RFU was concerned. 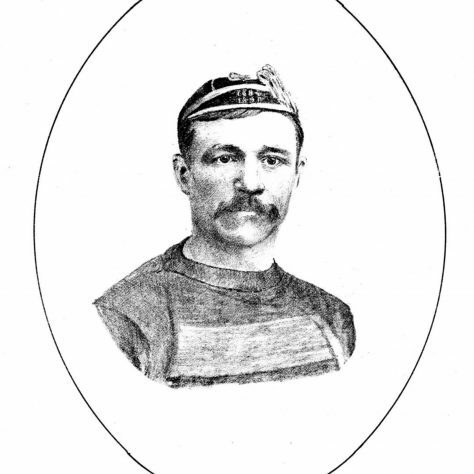 Tommy’s last game for the Club was his only appearance in 1895-96, when he came out of retirement to play against Stroud at Kingsholm on 16th November 1895 – Gloucester won 6-0. His career statistics for Gloucester were 239 games played, and 62 tries and 4 conversions scored, but his impact on the Club was much greater. He was an inspirational leader, fiercely competitive and supremely fit – the size of his heart was in inverse proportion to his small stature. He was a mere 5ft 4ins tall and just managed to turn the scales at 10st, but that small frame concealed a determined and gifted player, who made a huge impression on the rugby field. He was recognised as a fitness fanatic, renowned for his tactical nous, and was very difficult to bring down. In summarising Tommy’s career, that doyen of Gloucester rugby journalism, Bill Bailey, wrote: “ a stickler for training, Bagwell made great sacrifices to keep fit, and what success the veteran achieved on the field he attributed largely to this fact”,“he was a most difficult player to check when on the run, for he possessed remarkable dodging powers, and was up to every move in the game”, and he had a “specialty hand-off, which opponents, after one experience, took every precaution to avoid”. On finally retiring from senior rugby, he played for the local St Catherine’s side for a while. However, Gloucester rugby was stamped on his heart, and he soon returned to the Club. He was elected to the Club Committee in 1898, and for many years (at least until 1927) he served as trainer, and later as baggage and kit man. He was made a life member of the Club, and was held up to later generations as the role model for the Club Man. Tommy died in 1943, aged 84, after 60 years association with the Gloucester club. Ends 60 Years With City R.F.C. Over half a century’s active association with the Gloucester Rugby Football Club as player, committeeman, coach and baggage man respectively, has been broken by the death in his 84th year of Mr T Bagwell, of 64, St Catherine Street, Gloucester. A popular favourite with Rugby followers in Gloucester and the County “Tommy” Bagwell, as he was known, joined the City Club as a player from St Luke’s Red Cross (a local side) in 1883-84, and rendered brilliant service for 11 seasons. Twice he was honoured with the captaincy. Under his leadership (writes “W. B.”) the team achieved some notable successes. In 1890-91 (the last season at the Spa) Bagwell’s team were only beaten twice in 26 engagements, 21 “victories” being recorded and three drawn games – Cardiff (twice), Llanelly and Swansea were among the vanquished sides. Equally at home at half-back or centre three-quarter, “Tommy” was distinguished for his wonderful dodging powers, and in the old Spa days was the idol of the crowd. One of his finest solo efforts was in his first match against a powerful London team which included the late A E Stoddart, a famous England player, and J F Brown, a former Gloucester captain. Bagwell had the distinction of scoring the only try in this memorable Boxing Day match after a run in which he dodged his way through practically the whole of the opposing side. 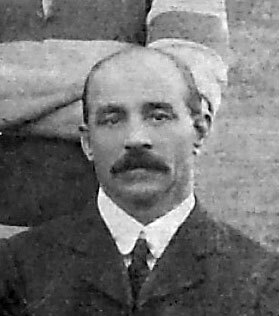 “Tommy” made 22 appearances for Gloucestershire, and was one of eleven Gloucester players who represented the County against the Maoris, the first overseas team to tour Great Britain. The match was played at the Spa on February 2, 1889. The funeral of Mr Tommy Bagwell of 64, St Catherine Street, who was for sixty years connected with the City Rugby Football Club, took place on Saturday afternoon. There was a large congregation, including many Rugby players and officials, at he service at St Mary de Lode, which was conducted by the Rev J Beresford-Davies (curate). Representing the Gloucestershire Rugby Football Union were: Mr R Roberts (hon secretary), and Mr E Keys (vice-president), Mr W A Thomas, and Mr T Millington. Mr A T Voyce represented the Rugby Union. The following represented the Gloucester Rugby Football Club Committee: Mr A Hudson (secretary), Mr A T Voyce, Mr E T James (also Supporters’ Club), Mr T Millington, Mr J F Scoon, Mr F Abbey, Mr S Smart; also representing the Club: Mr W Bailey, Mr N L Hayes, Mr H Boughton, Mr F Wadley. Old players present included: Mr J W Bayley, Mr A C Williams, Mr W H Taylor, Mr G T Bourne, Mr C Bailey, Mr T Taylor, Mr Bert Parham, Mr S A Roberts. Representing the North Gloucester Rugby Combination were; Mr E Timms (vice-president) and Mr L H Middleditch. Representing the Gloucester Referees’ Society: Mr F Mansell.